The prompt for today (one day only) is BEAR. Here are three of mine, the first from CAVE DETECTIVES (2007), the second from THE BOY WHO COUNTED STARS (1994), the third from WILD COUNTRY (1999). sniffing the air but unworried. for twins that will come. Met a hare on the stair. 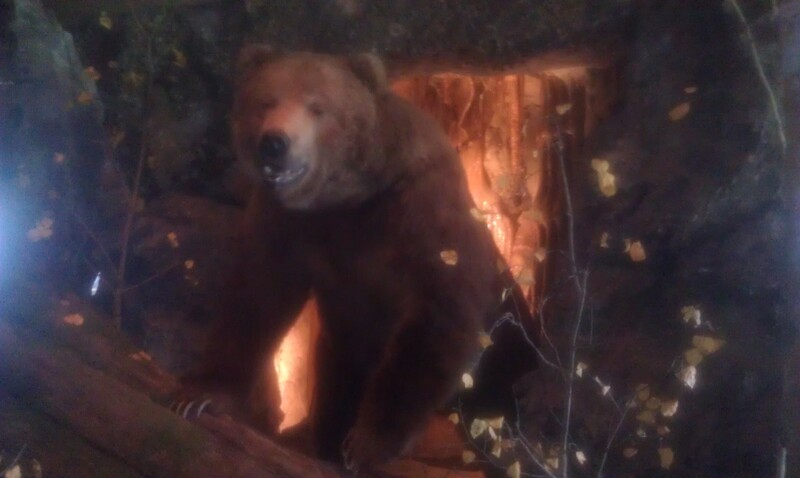 At the bear who was bare. ‘Twas the hare who was bare. you bring your cubs to breakfast. Yesterday I drove out to Missouri Institute of Natural Science, which is located on Cox Road South, a few hundred yards from Riverbluff Cave. The cave was discovered September 11, 2001 and has yielded fossil evidence of dozens of extinct animals dating back 1.5 million years. 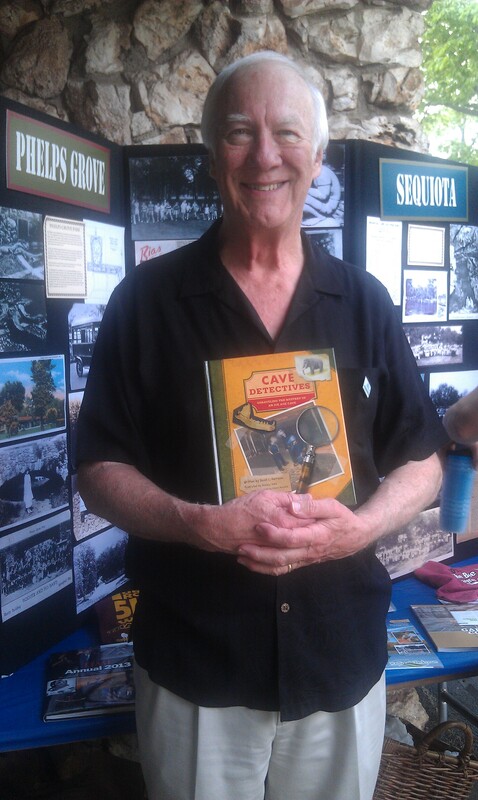 I wrote a book about the cave and its discovery called CAVE DETECTIVES, UNRAVELING THE MYSTERY OF AN ICE AGE CAVE, and served on the board during the years when the Missouri Institute of Natural Science and museum were going from dream to reality. 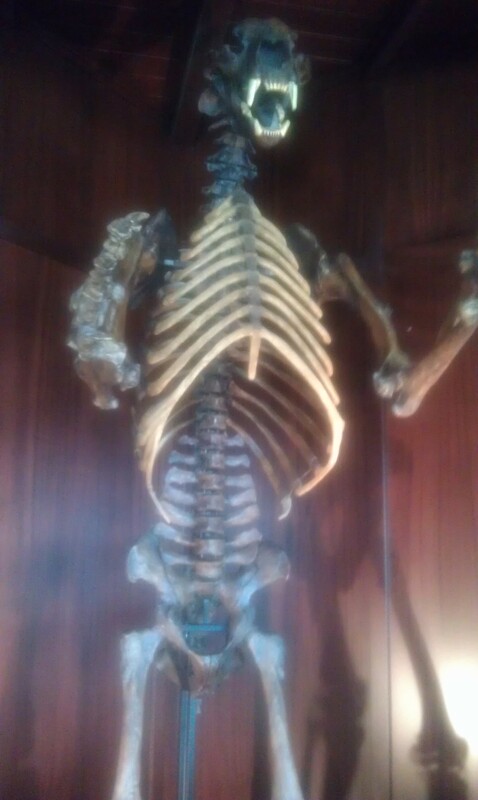 I also loaned my own bear skull to the museum. It’s the skull I found with a boyfriend in a small cave in southeast Springfield when we were twelve or so. I’ve been told it’s a black bear skull but somewhat different from today’s species. I haven’t had anyone study it but suppose it could be a subspecies and perhaps even an extinct one. My reason for driving out to retrieve the skull is that I’m featuring it and its discovery in a new story I’m developing and I needed to have it beside me so I can describe it better. 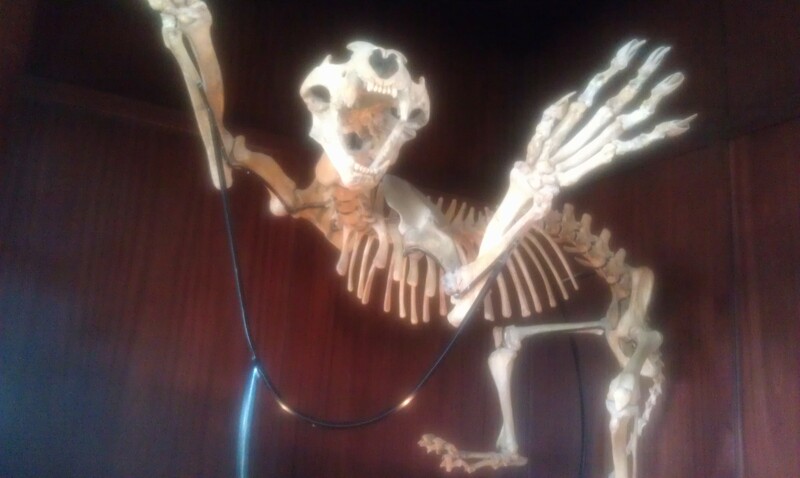 Now it’s resting on my desk with replicas of a short-faced bear (the largest bear of all time) and a saber-tooth cat. 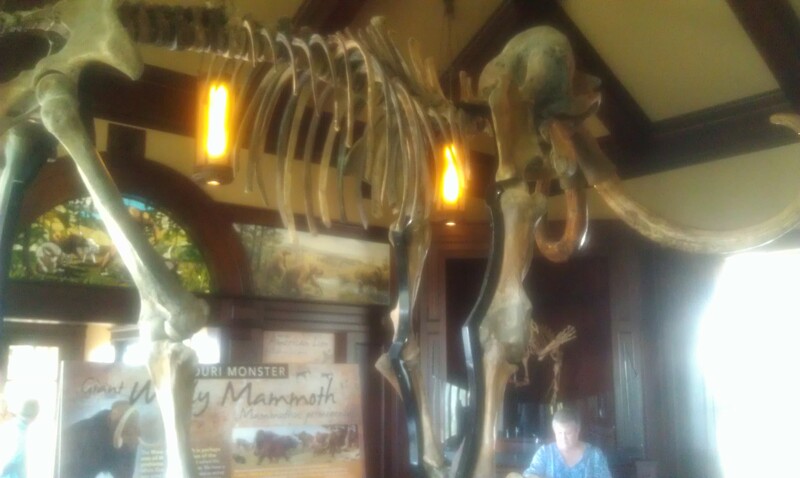 My bear is dwarfed by both of those ancient, extinct carnivores. I thought you might like to see the contrast. ANNOUNCEMENT: CAVE DETECTIVES, my nonfiction book about the ice age cave discovered in Springfield, Missouri on 9/11, has just been released as an e-book. I’m delighted to have this book available again. It became a Junior Library Guild Selection when it was released in print in 2007. The cave contains the oldest known ice age fossils discovered so far on the North American continent. I hope you’ll check it out. 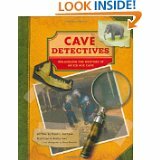 Here’s the B&N link: http://www.barnesandnoble.com/w/cave-detectives-david-l-harrison/1110846985?ean=9781452135533 and here’s the Amazon link: http://www.amazon.com/Cave-Detectives-Unraveling-Mystery-Ice-ebook/dp/B00I5X4UIW/ref=sr_1_1?ie=UTF8&qid=1392561575&sr=8-1&keywords=cave+detectives. I’m still away from my office but now and then I have a chance to get online for a while. I want to remind anyone who is considering my Highlights Foundation poetry workshop this fall (September 29 – October 2) to start the process of registering. 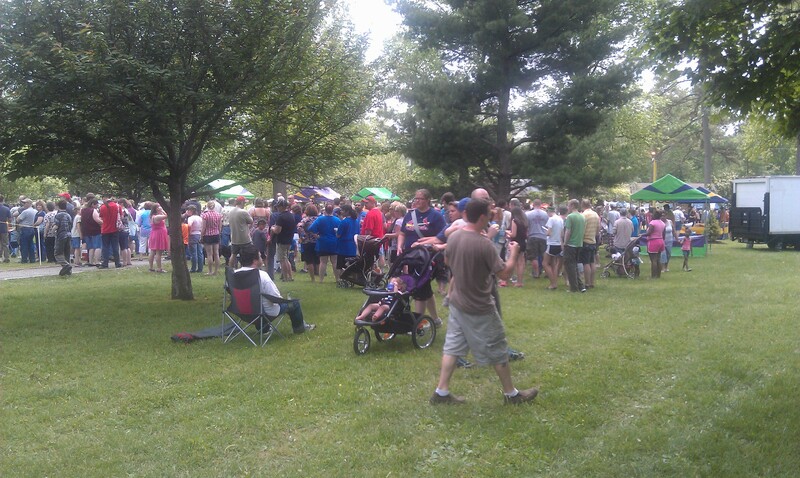 Last year the event was filled by March and I hope to see that happen again for 2014. My special guests this year include poetry editor Rebecca Davis and Skype appearances by Jane Yolen and U.S. Children’s Poet Laureate Kenn Nesbitt. I hope to see you there. I hope you had a day yesterday as beautiful as we had in Springfield. 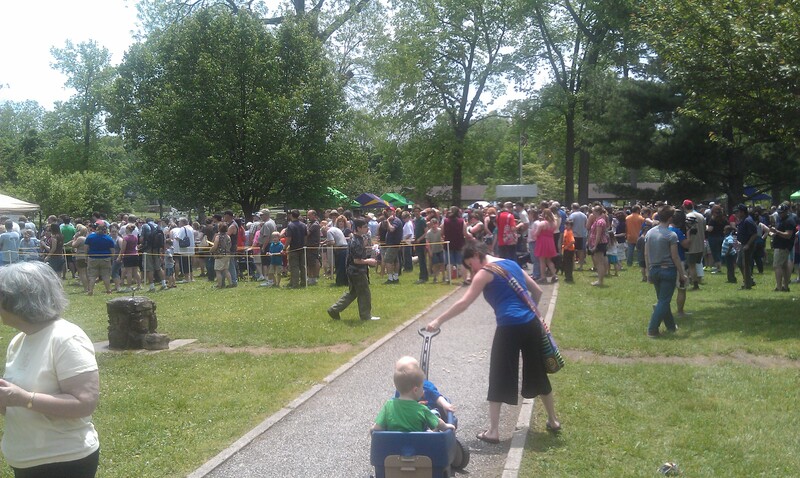 I spent part of it in Phelps Grove Park, a lovely park where our family often went to relax and picnic when I was a child. 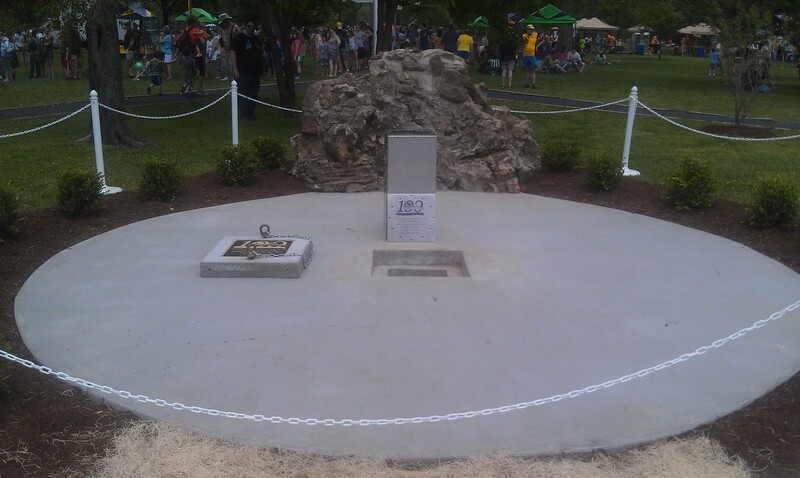 Items that were going into the 100-year time capsule were displayed on half a dozen tables. 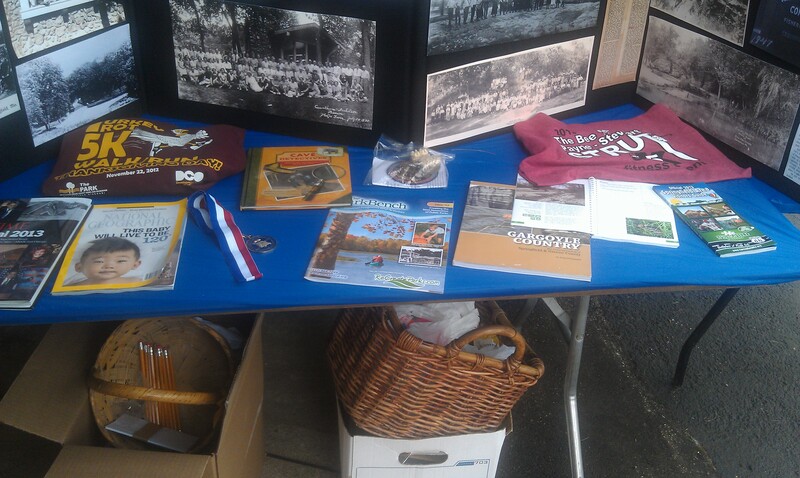 They included pictures, magazines, scrapbooks, ball caps, a horseshoe, and other items relevant to the various parks in the system. My book was relevant because Riverbluff Cave is part of the system. I saw lots of old friends yesterday, including Virginia Gleason, former director for children’s books for Springfield-Greene County Library District. Many others too. It was a pleasant time. 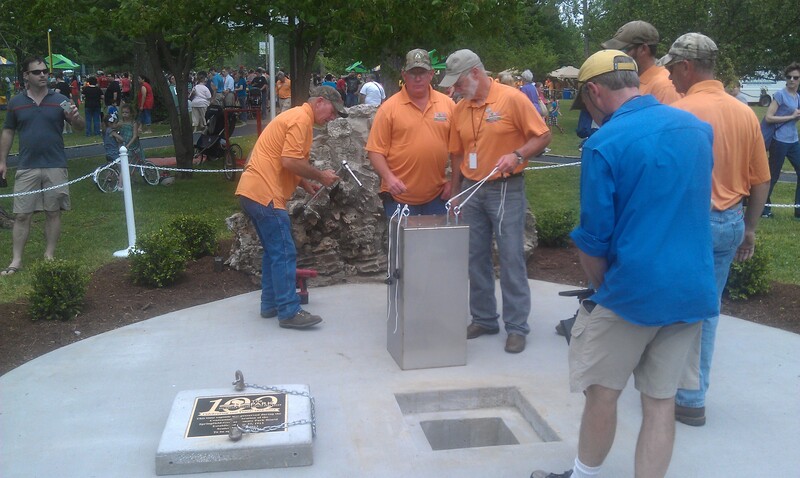 After several presentations about the history of our park system during the past 100 years, the time capsule was duly buried. I took a few shots to share.